I heard this acronym last night at a meeting… Love is to Let Others Voluntarily Evolve. What a lovely way of “letting go.” So many of us want to mold everyone into a way that makes us feel better. We believe if the people around us change, that we would somehow be happier, or that we would be more content. If my son plays sports, I will feel like a better parent. If my daughter makes Cheer, I will feel like I fit in with the other moms. If my husband is working his way up the ladder, I will be at peace because we would be financially secure. If my parents would move closer, I would feel safer… etc. Some of us place a lot of our well-being on what other people are doing, and this is not only controlling, but it is extremely unhealthy. It removes us from being responsible for our own joy, and gives us excuses to be unhappy, or to procrastinate in our own personal goals. Most people are pretty controlling. It’s a sort of self-preservation that we’ve created in this society, though if we become aware of it, we will notice how truly absurd it is when we try to relinquish control over others through trivial matters. In the end, it’s all smoke and mirrors. There is no real control over another human being or the outcome of anything. People are going to do what they want, and be who they are, and we can bully the world, but the world will always disappoint us when we try to control the end result. I’m controlling in a subtle way, so I’m really looking at this in myself. Sometimes when I’m with my children, or with friends and family, I imagine myself as a guide along their spiritual path. I reverse this image and envision them as my guides as well. In this scenario, no one is trying to control anyone. We are all simply there to assist the other in their movement, but their movement is arbitrary. I’m not allowed to manipulate, suggest anything for my own benefit, or direct them into any direction. I’m only there to offer my support and to give them information… if they ask. I’m there to listen. I’m there to laugh with them, or cry with them. I’m there to hold their hand if they need it, or to hug them if they require my loving arms. Above all, I’m there to accept them as they are, because nothing will give them wings like knowing they are understood and sanctioned by another human being. I also don’t expect anything from anyone. This is essential, because expectation of others is a set up for grave disappointment. No one outside of myself is responsible for my happiness or my well-being. Lastly, I remind myself to stop judging. This is the most important standard I’m learning to utilize. I do not benefit by judging others, and neither do they. Judgment is merely a scoop of horseshit delivered to my ego on a delusional silver platter. No one is anything near being perfect, and we should always remember this about ourselves before pointing our fingers, or whispering catty things about another human being. I don’t care who they are, how they behave, or what they did. I have not walked even ten seconds along their path. There is absolutely no place for self-righteousness, especially when I recall my own mistakes, which are copious. When we allow others to be themselves, and allow them to navigate along their own journey without meddling, we are liberating ourselves to do the same. This creates harmony. Harmony is the key to our joy, and our well-being, and we can only have this if we relinquish the need to control. I’m certainly not perfect at any of this stuff, but at least I’m finally aware of when I’m trying to control something, which is often. I’m still learning, and growing and allowing myself to be without judgment of myself. 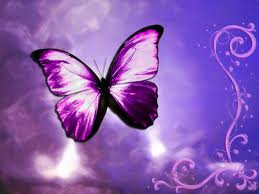 I’m still a caterpillar building a little cocoon where I can grow some beautiful wings.